Leading ocean scientists from the U.S. and around the world today urged President Obama to halt a planned oil and gas exploration program off the Atlantic coast involving millions of underwater sound blasts that would have “significant, long-lasting and widespread impacts on the reproduction and survival” of threatened whales and commercial fish populations. Read the full text of the letter here. In a letter to the President, 75 scientists from institutions such as Cornell, Duke, the New England Aquarium, Stanford, and the University of North Carolina say that the seismic blasts, from high-volume airguns that fire every 10–12 seconds, are nearly as loud as conventional explosives and have “an enormous environmental footprint.” Experts say airgun noise is loud enough to mask whale calls over thousands of miles. 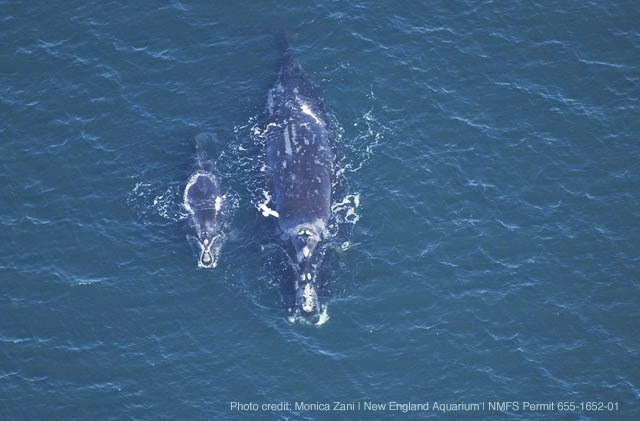 North Atlantic right whale calve in the Southeastern US then migrate north to feed in the summer. The blasts also “could have potentially massive impacts on fish populations,” according to the letter. In some countries seismic testing has driven away commercial species, resulting in huge drops in catch rates. Studies also show the airguns could kill fish eggs and larvae, interfere with breeding and make some species more vulnerable to predators. The seismic blasts, used by oil companies to locate oil and gas deposits below the ocean floor, were authorized last year by the Department of the Interior and would result in more than 20 million seismic “shots” over a multi-year period. 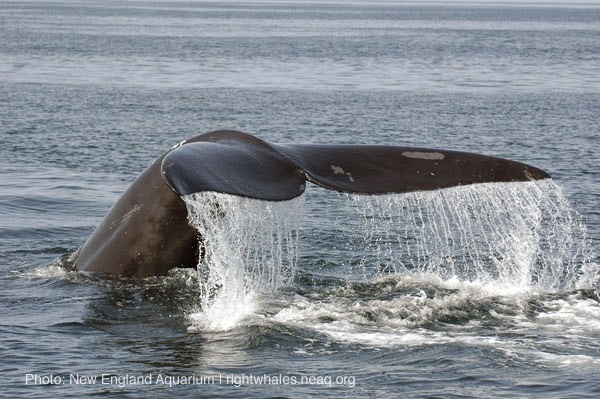 “The Interior Department itself has estimated that seismic exploration would disrupt vital marine mammal behavior more than 13 million times,” the letter says. Nine applications for seismic blasting have already been filed, covering most of the Atlantic Ocean continental shelf from Delaware to Florida along with deeper waters further out to sea. The issue assumed new urgency earlier this year when the Obama administration announced plans to allow, for the first time in 30 years, offshore oil and gas drilling in the region. The Interior Department has scheduled “open houses” next week in Annapolis, Md., and Charleston, S.C. to receive comments from the public; additional hearings will take place in Atlantic City, N.J., and Savannah, Ga., and on the Outer Banks of North Carolina later this month. The Interior Department is still processing the seismic applications, but the scientists urge President Obama to step in now. “Opening the U.S. east coast to seismic air gun exploration poses an unacceptable risk of serious harm to marine life,” they write, asking him to reject Interior’s decision to allow the blasting. So beautifull animals & very indifferent attitude towards them. Guys, let's be serious! Оil is not worth it!